Facebook Ads are an incredibly powerful tool for eCommerce businesses to use to expand their business and find new customers. In this article, I’ll be diving into some of the most common mistakes and missteps I see business owners and marketers making that could be harming their Facebook performance. Using these tips, it’s not uncommon to see return-on-ad-spends (ROAS’) of 300% and above. Without further delay, let’s get started! Lookalike audiences are Facebook’s proprietary technology to create audiences based off of your existing users or customers. While incredibly powerful, many people do not use them to their full potential. One of the most common mistakes I see business owners and marketers make when it comes to Facebook Ads is preferring quantity over quality when it comes to creating lookalike seed audiences. Most people just export all of their previous customer data (from the beginning of their store) and upload it into Facebook. These are just a few ideas to get you started. But the main logic should be that you want to target people that are going to be your ‘best’ customers, rather than just average ones. Targeting these audiences is going to give you a much better ROAS than simply targeting your general customers. Another very common mistake I see business owners and marketers make is making assumptions about who their customers are before running any Facebook Ad campaigns. Even if you have been in business for a long time and have tons of customer data to back it up, I still recommend leaving your demographic data (age, gender, platform placement) open. Your customers who buy from Facebook Ads might be completely different than your normal customer base, but you will not know that unless you test it. This applies especially to businesses that are brand new to Facebook Ad’s and are setting up their first campaigns. If you have a lot of campaign history, only then do I recommend starting to segment down to specific genders and age ranges. Facebook gives advertisers many different ways for you to display your product offerings. Just like with demographics, you should not assume anything about what you think your customers are likely to enjoy! Marketers and even Facebook have been preaching that video is the best ad format, achieving lower CPMs and CPCs than images and other formats. However, I have had multiple clients achieve the best ROAS’ with simple images over videos. 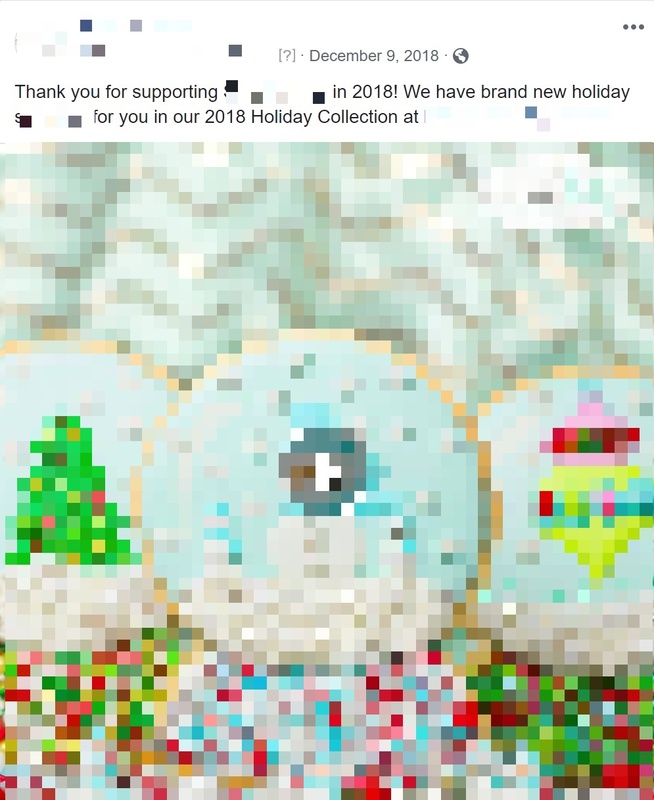 Create many ad variants using Facebook’s formats (carousels, videos, slideshows, single images) and see what works best for you. Don’t assume what will work for your business just based off of what worked for someone else. Every business and campaign is unique! Your previous customers is one of the most valuable audiences that most businesses never fully utilize. These are people that have already gone through the entire buying process, and will be much more likely to purchase from you than someone who has never heard about you or your business. Yet of the dozens of eCommerce businesses I’ve worked with, I’ve never seen a business have a campaign set up targeting their previous customers. A lot of business owners see case studies and screenshots of people scaling their businesses to hundreds of thousands of dollars in revenue using Facebook Ads alone. While seeing these sorts of results can be enticing, this strategy is incredibly risky and can leave you in thousands of dollars in debt if you’re not careful. For this reason, I recommend you start small with your Facebook Ads. Focus your efforts first on getting retargeting and upselling profitable before trying cold prospecting (finding new customers, who have never heard of you/interacted with you). And even then, keep your budgets small and lean, $10-$20 a day per ad set is plenty to start with. If something is not working well, throwing more money at it is not going to magically fix your problem. Be patient and scale slowly and you will reap the rewards. Facebook Ads are an incredibly valuable tool for eCommerce businesses to utilize to increase revenues, profits, and overall brand awareness. I hope these tips have been useful to you and you are already starting to think of ways you can start using them in your own business and ventures. Previous Automated Email Sequence Can Increase Your SaaS Customer Retention, But How?